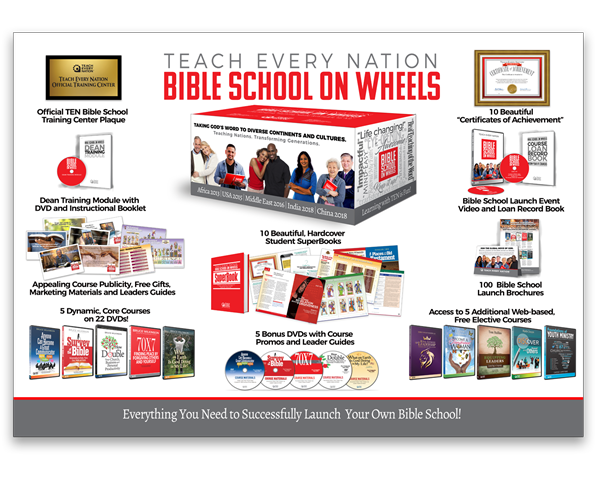 The Bible School on Wheels contains a complete year of the curriculum, as well as all of the SuperBooks and training to make your first year a success. The program is a proven year-long curriculum that will help pastors, leaders, Christians, and businesspersons make ”teaching” God’s word a priority. We say Bible School ‘On Wheels’ because our desire is to be intentional, continuously moving forward, never pulling back as we go into all the world. More courses to be added in 2019!! !